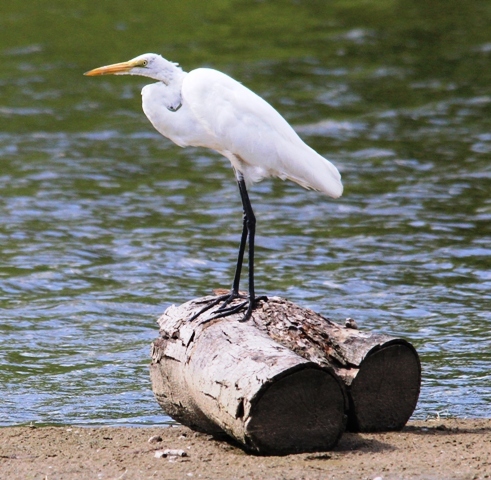 I went back to the Strathroy Conservation Area today and saw one of the two egrets that were present yesterday. The other might still be lurking there still. I took this picture. Thanks, David. I was hoping that you would send a picture after your yesterday’s post. I love those Great Egrets. They make great photos.